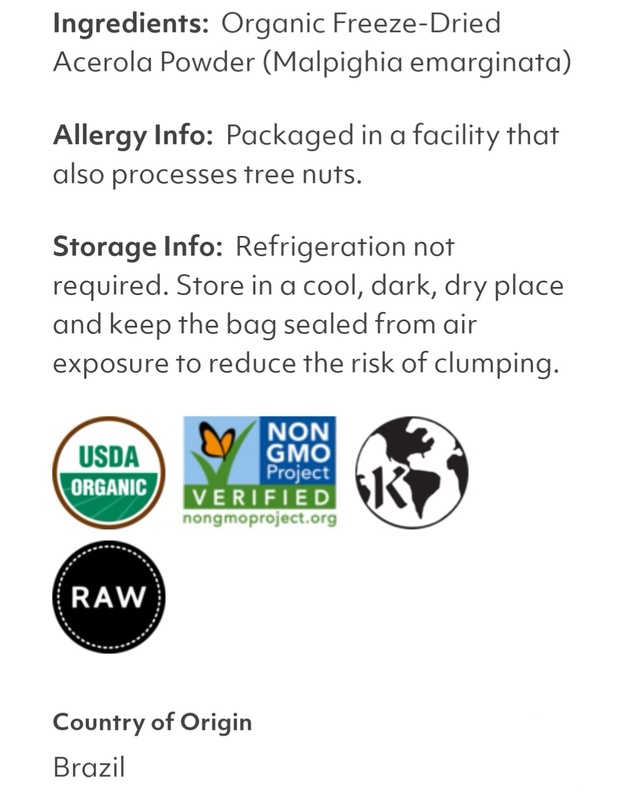 Boasting one of the highest levels of vitamin C of any food source, Acerola is one of the most nutritionally dense superfruits packed also with significant amounts of vitamin A, vitamin Bs, iron and potassium. 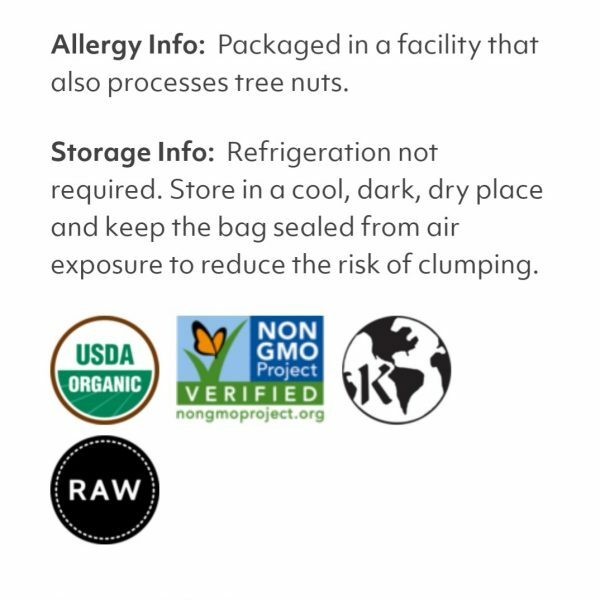 This highly perishable fruit’s nutrients rapidly deteriorate within hours after picking. 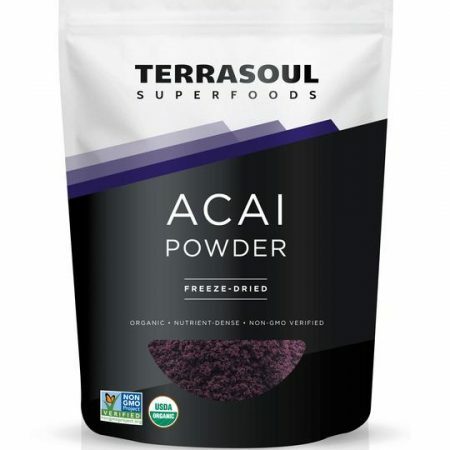 This is why in Terrasoul Acerola Powder, the acerola pulp and vitamin C rich skins are frozen immediately after harvest and then freeze-dried to retain the rich nutritional content and flavour of the fresh fruit. 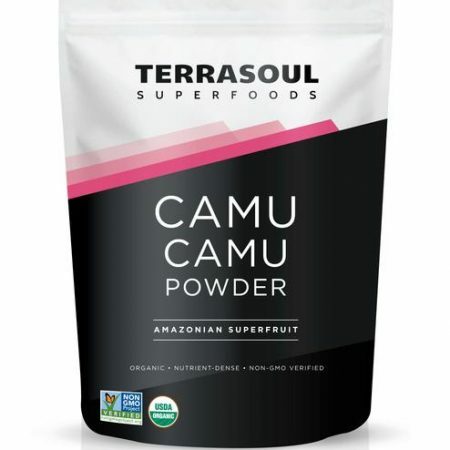 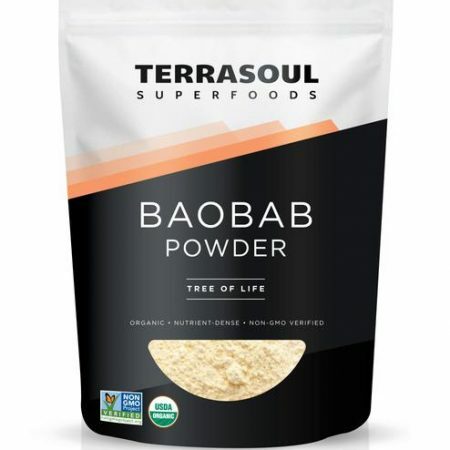 Terrasoul Acerola Powder is the highest quality and purest powder available and is free from maltodextrin or other fillers found in lesser-quality powders. 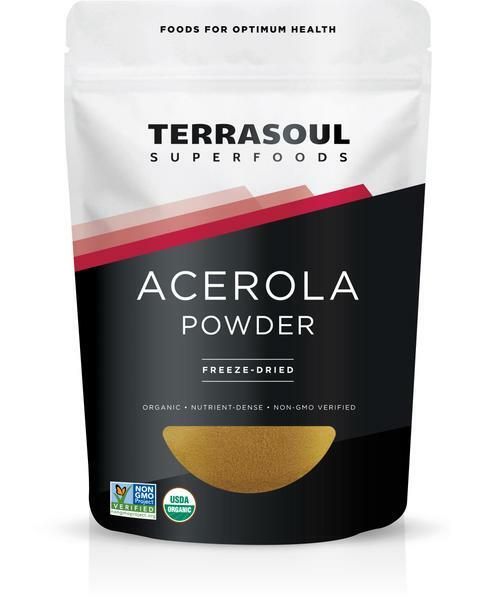 Terrasoul Acerola Powder is certified-organic and sustainably-harvested.